I would like to give.. If you have any problems with this form, you can donate using JustGiving or contact us. What prompted you to donate? Is this donation on behalf of a company, group or school? We will use your details to fulfil your request, and to deliver and improve our services for men who are struggling or in crisis. You can change the way we comunicate with you at any time through our Contact page. 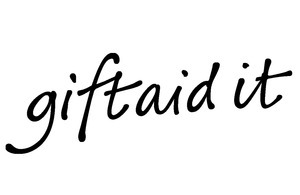 Gift Aid is reclaimed by CALM from the tax you pay for the current tax year. Your address is needed to identify you as a current UK taxpayer. I want CALM to treat all donations I have made in the last four years and all donations I make in the future as Gift Aid donations, until I notify you otherwise. I am a UK taxpayer and understand that if I pay less Income Tax and/or Capital Gains Tax than the amount of Gift Aid claimed on all my donations in that tax year it is my responsibility to pay any difference.